With a variety of different automotive tints, Absolute Tinting Inc. is sure to have the right tint to give your car the look it deserves. 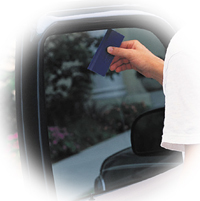 The high quality tint that Absolute Tinting Inc. uses is guaranteed to not fade purple or bubble. Warranty coverage can even be transferred to the next vehicle owner. Absolute tinting Inc. uses film that is as impressive as the car you drive whether's it a classic or new luxury vehicle - we're the clear choice! Please contact us at 905-664-3652 or fill out our form for pricing on each service. BEST TINTING DEAL IN HAMILTON!